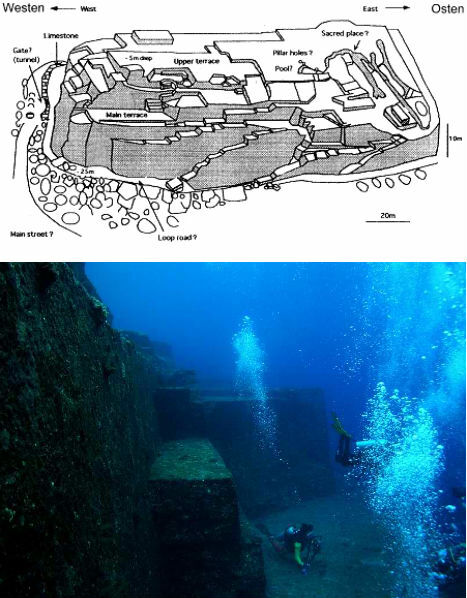 Experts can’t seem to agree whether the Yonaguni Monument, a strange geometric formation found off the Ryukyu Islands of Japan, is natural or man-made. But looking at photos of the terraced stone, cut into triangle shapes in some areas, it’s difficult to imagine how it could have been created by nature. The site is a popular diving location despite strong currents, especially because it tends to be a congregation point for hammerhead sharks. 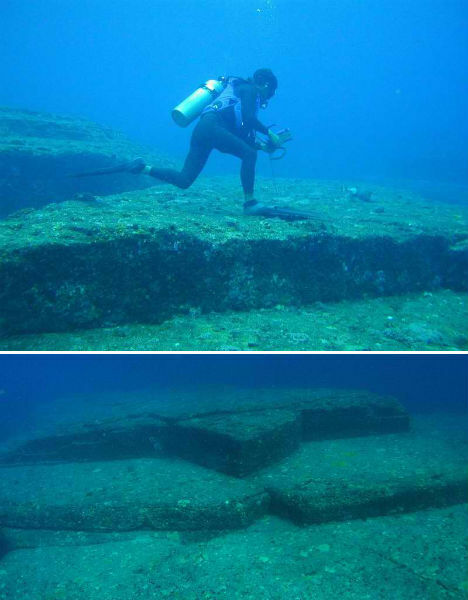 Rising 250 feet from the sea floor, the Yonaguni Monument is not a series of stacked stones; rather, it’s a single construct connected to the underlying rock mass. Some divers believe they have found traces of drawings and other markings upon it. If this structure really is man-made, it would had to have been constructed during the last ice age, around 10,000 BCE, when the sea level was 130 feet lower than it is today. Geologists, however, argue that the geometric shapes could have been formed by fractures caused by earthquakes. Though the ancient ruins tend to get more attention, they’re not the only vestiges of civilization to be found under bodies of water throughout the world. More recently, many towns have been submerged for the creation of artificial lakes or re-routing of rivers. 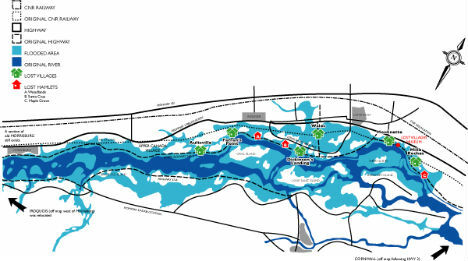 Ten communities in the Canadian province of Ontario are now permanently submerged under the Saint Lawrence River, after the creation of the Saint Lawrence Seaway in 1958. These ‘Lost Villages of Ontario’ are likely still mostly intact underwater, and in some parts, sidewalks and building foundations can be seen. Some components of the towns were salvaged before the submersion and are on display at a nearby museum, including tombstones from a cemetery – though the bodies are still in the ground where they were buried before the water was allowed to pour through the streets. 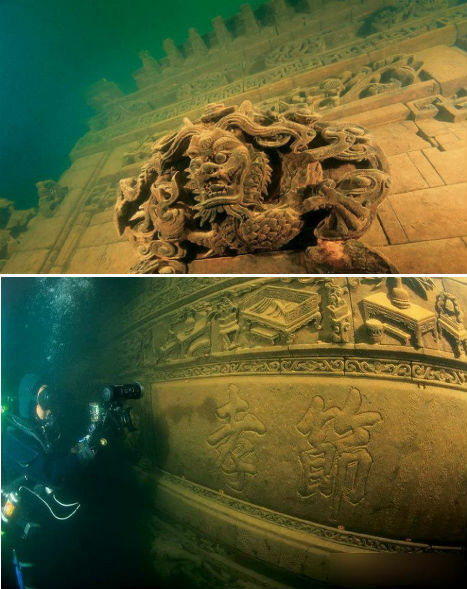 China’s submerged Lion City may be the most spectacular underwater ruins of the world, at least until more of Alexandria is explored. 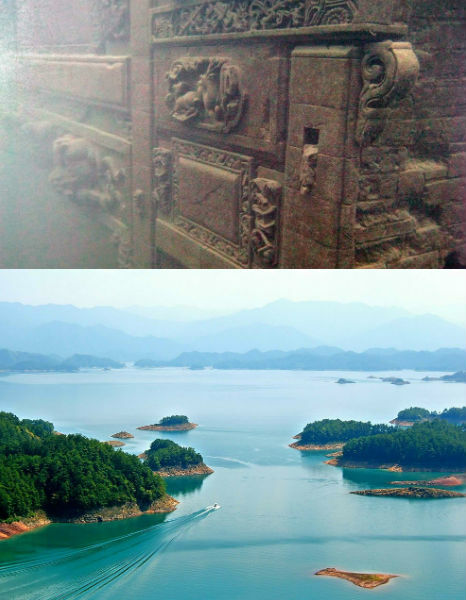 It’s located about 85-131 feet beneath the surface of Thousand Island Lake (Qiandao Lake), in an area that was intentionally flooded in the 1950s to create a dam. Lion City (Shi Cheng) was built during the Eastern Han Dynasty (25-200 CE) and measures about 62 football fields in area. It’s unclear why the Chinese would have flooded such spectacular historical structures, which are covered in dramatic relief sculptures. In 2001, divers discovered 265 arches in the nearly perfectly preserved ruins, which have since become a tourist attraction. A dive operator based in Shanghai offers weekend trips to explore the submerged city, and several concepts have been submitted to make it more accessible, including transparent floating tunnels.